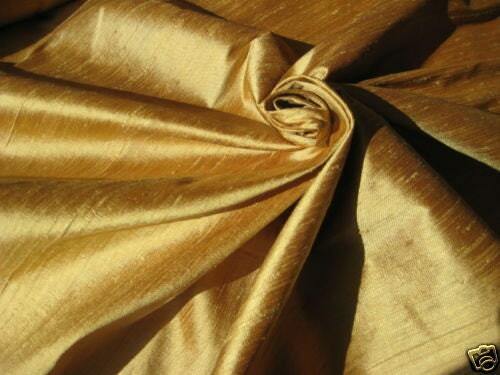 Gold Bamboo iridescent dupioni silk. Brand New High-End Dupioni Silk Fabric Yardage. 45 inches wide. Gorgeous gold silk! I can't wait to make the outfit for my doll! Great product, fast shipping. Thank you! Beautiful! Beautiful! Beautiful! Beautiful! Beautiful! Beautiful!